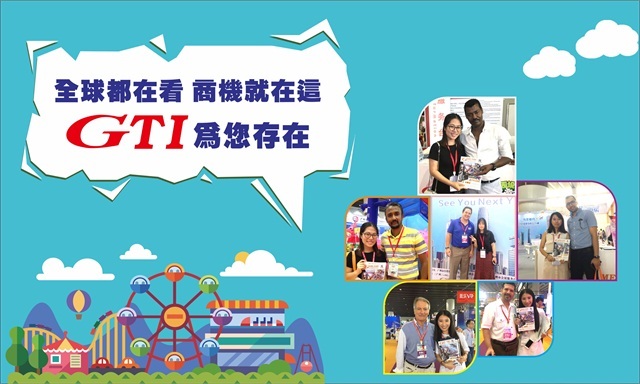 GTI Asia China Expo, an annul Asian games & amusement event, will be held on September 12-14 at Area A, China Import and Export Fair, Panzhou Complex Guangzhou, China. Featuring 600 exhibitors and 8 halls, the expo not only catches tons of attentions from home and abroad, but also provides the best opportunities with most of exhibitors to reach cooperation and gain more orders. At the show floor, numerous products will make their debuts. As each hall will have its wonderful events and creative products, all the halls can meet every buyers’ needs. Game Time International (GTI) Magazine will be the only one official English publication and endear to be distributed to every visitor, so that it can be a significant reference for purchase. What’s more, targeting the Europe market to do promotion and develop potential market, GTI together with the No. 167 GTI Magazine will also set off Netherlands to attend EAS Expo as an exhibitor. Advertisement in 167th GTI Magazine is coming to meet its deadline. Welcome to consult the related details of advertisement and exhibition via E-mail: gametime@taiwanslot.com.tw. Hyperlink to enjoy the No.166 Game Time International Magazine online (click here) or download the PDF file (click here).